This week I almost ran out of time to put up this post. I watched so many videos that were just blah. I could not get into them. This one is pretty interesting visually. 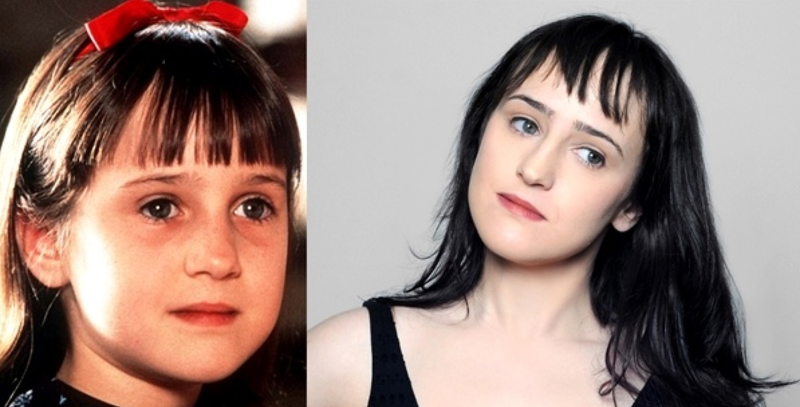 It's by Zoé and the song is called Arrullo De Estrellas. 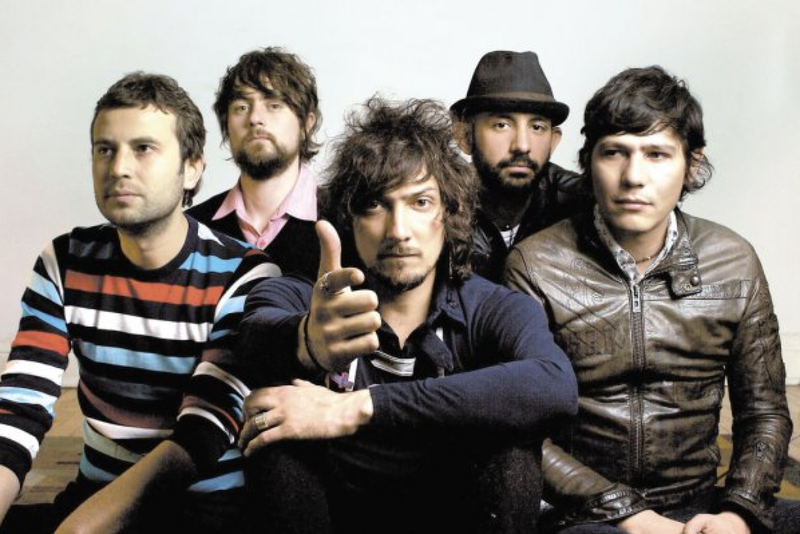 Zoé is a Latin Grammy Award-winning Mexican alternative/psychedelic band. They released their 5th album this year called Programaton. I love the visuals in this video! This track has such a nice sound. I'm all for bands that can sing great live. 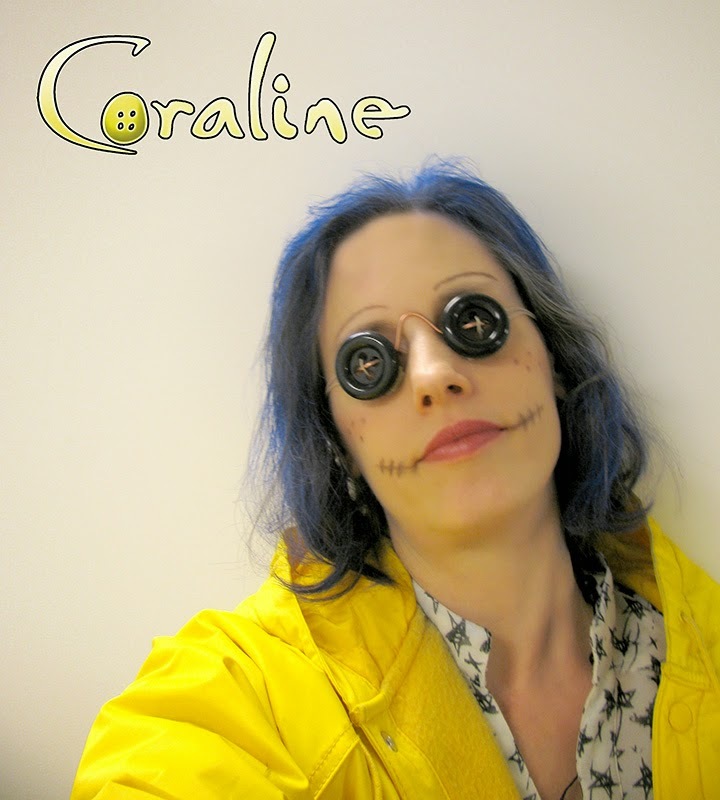 I won second place in the Halloween contest yet again. That...happens...every...year. It was still fun. But...just one year I want to win. All I get is a cheap slip of paper saying, first place. I try hard to be something cool. Then 1 staff member shows up as something funny, and wins every...single...time. One year I will win. LOL It will happen. It will be a cold one. 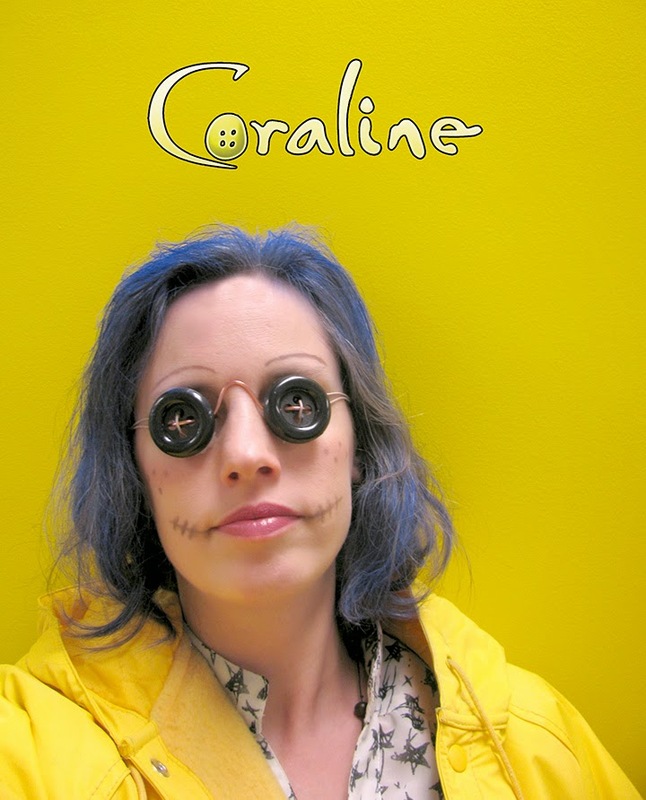 Now I'm off to take those buttons out of my eyes. 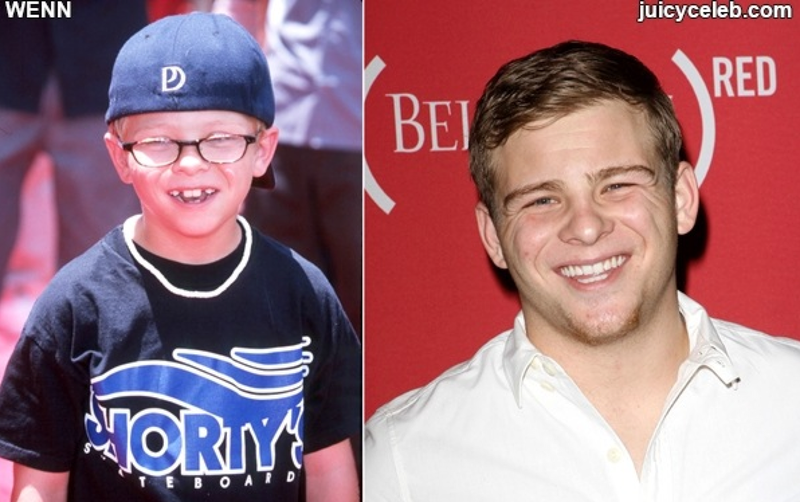 I ran across a website that has the title: The Cutest Child Stars That Turned Ugly. My first thought was: Who determines what ugly is and what cute is? There may be one person out there that looks wise isn't very cute, but attitude wise is amazing. All the sudden what some would determine as ugly changes. Once I actually looked at the site - most of the stars on it were not ugly at all! Their looks and personality are beautiful! How does one define beauty? What would make someone think these people are ugly? I feel like articles like this are what's wrong with this society. I had to stay at work Tuesday night. Every year administration schedules a Program Advisory Meeting the week of Halloween. Another staff member has a birthday the day they scheduled it this year. Blah! Daylight Savings Time used to hit the week as well. It's not very well attended. I wish they'd move it to late August, or late September. I've of course made the recommendation. They of course didn't change it. I heard, Well it's only once a year. Daddy is doing a class called Artist Inc. He signed up for it. It's free, but you have to apply to get in. They have homework, and you just don't miss it. I called 3 people before I got a babysitter. The good thing: I get comp time for being here. My sister Facebook messaged me earlier this week to tell me that my brother-in-law's best friend's daughter died. She was 9. The same age as Mica and my nephew Evan. I just couldn't imagine loosing Mica. :( They tried calling him, but he said he just couldn't breathe, let alone talk. All they know is that his otherwise healthy child had a seizure. How scary! I'm usually pretty particular on assignment details. If I'm not students are all over the place. Last Friday I had an exercise - not an assignment. I passed out styles of music, and dance. They had to use the lecture hour to create the style only using line. I had examples, we talked about it first. Hard rock with line would be hard, grunge would be scratchy, ballet would be soft and loopy, so on a son forth. We even talked about styles of line: Solid line, thick and thin line, two shapes that meet to form a visual line, and more. Not having concrete rules really messes with them. I had 5 or more students at my desk multiple times asking, "Is this ok?" and "Is this what you want?" I told them I just want it to look good, but it's your interpretation. They didn't like that answer. 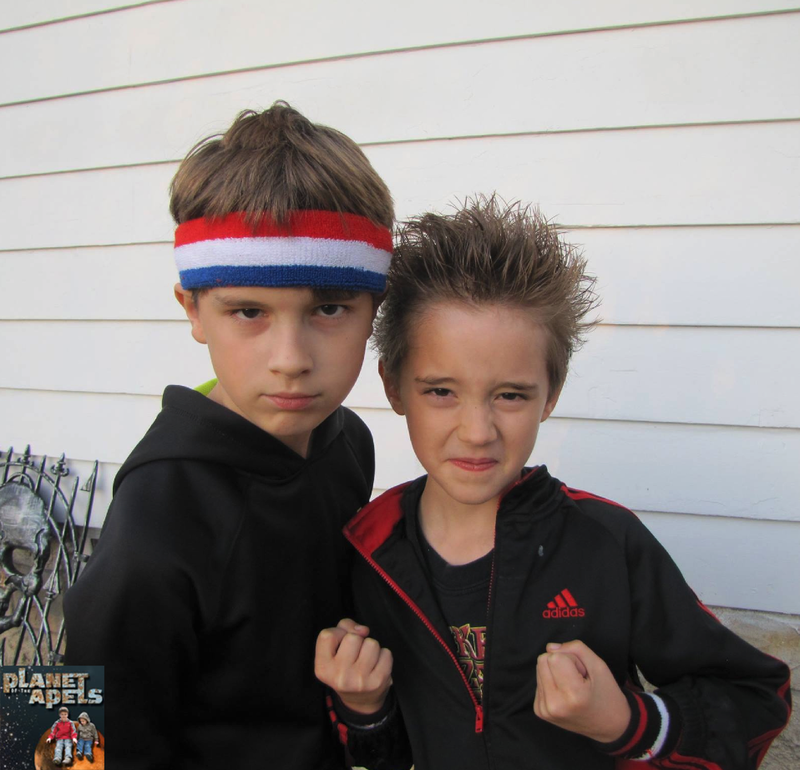 The boys both won 2 liters - 1 each of soda at their fall festival a few weeks ago. We have a little bit here, and a little bit there. It's a treat because we never have soda. It goes flat before we can get through it. Do you drink soda? We're water drinkers. With smoothies I only have fruit in it to sweeten it up. With coffee I drink it black. I do love small bags. I keep all my hair bands in Multi Purpose Bag. *Note some of their sizes are out of stock. These Multi Purpose Bags are Waterproof! The mesh that you see allows protection from dirt or other elements. You can take it to the beach, camping, the office, at home, in school, on vacation, and more places. The zipper easily opens and closes. It's a good quality zipper. 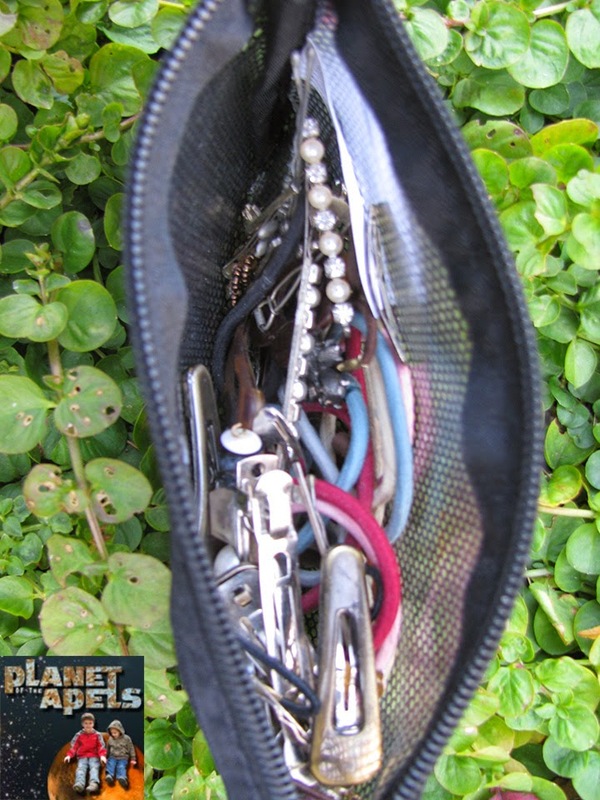 Each bag includes a clip to securely attach your bag to handles. Frees yourself from clutter and reduce stress. 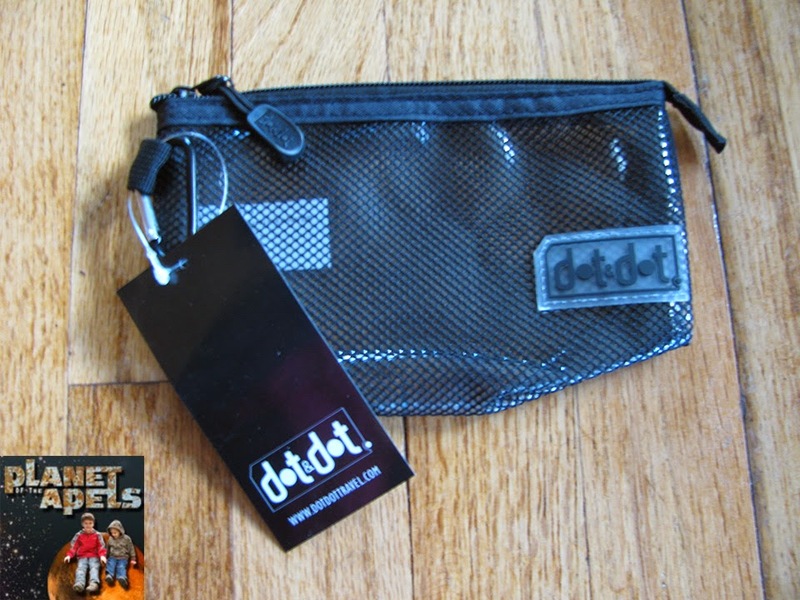 Easily identify the contents of your bag with the see-through mesh. Saves you from embarrassment during airport security checks. to place more of your belongings. 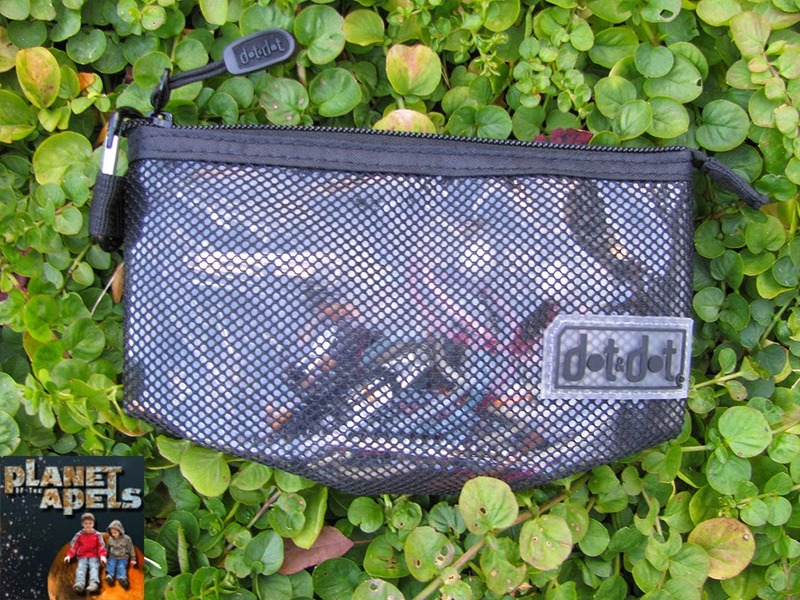 Waterproof mesh protects your belongings from accidental spills and dirt transfer. Made of high quality materials, Dot&Dot organizers will last a lifetime of travel and adventure. Save your money from low quality organizers that just don't work or get damaged after few uses. Mica goes outside to play, and he comes back looking like he had a shower. It's sweat. Gross I know. It doesn't help that his hair is super thick. 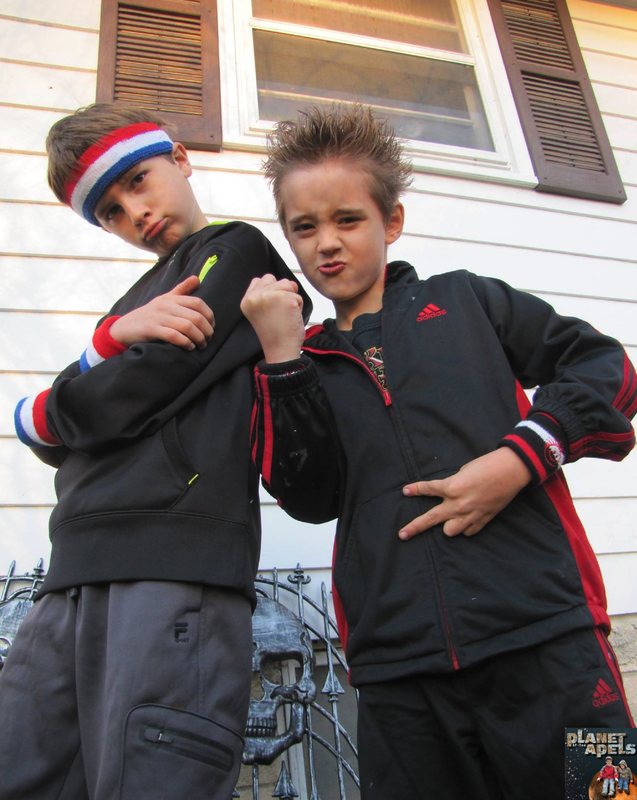 I always wanted to get him a sweat band. 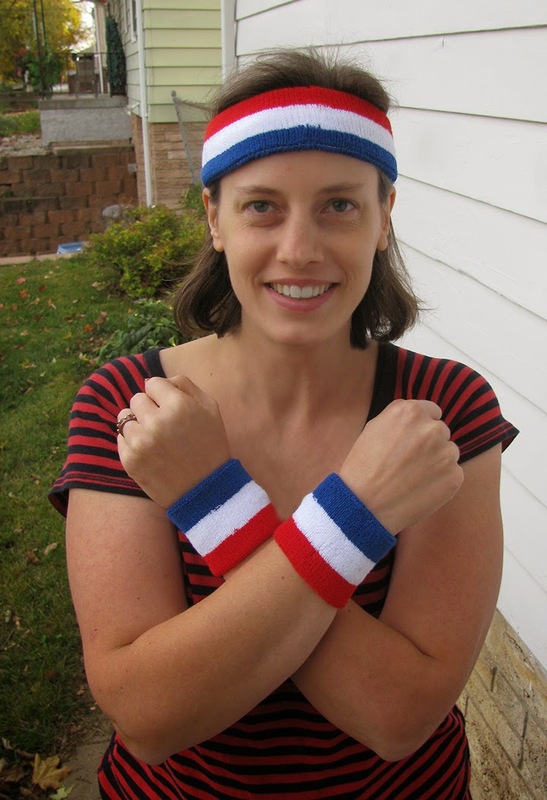 Suddora sent me a Red, White, and Blue Patriotic Sweatband Set to review. 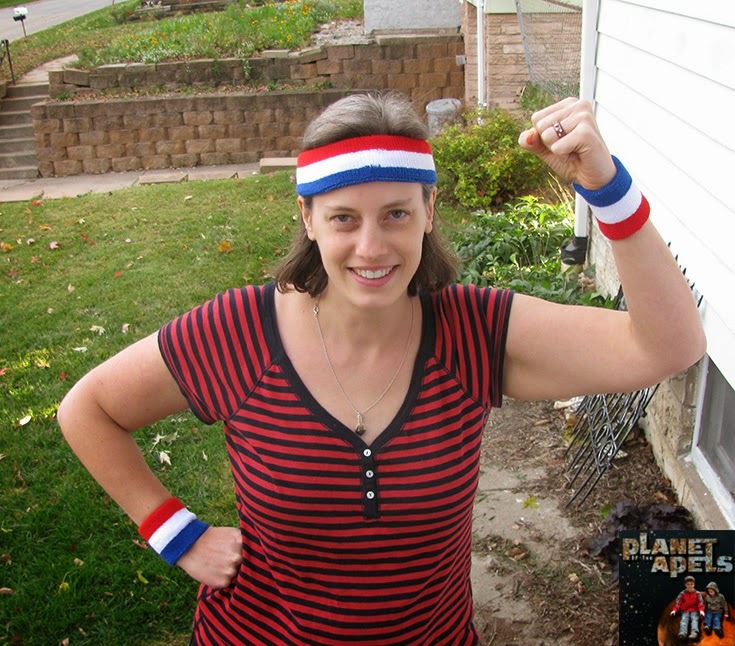 The headband is 2x7" and the two wristbands are 3 1/2x3". I could barely tell I had anything on. They were pretty comfortable. I don't have to worry about the bands falling apart. They are 80% Cotton, 12% Spandex and 8% Nylon. They are great for sporting events and athletes. Mica is a runner, so I know he'll use these when he runs. This would even be a great accessory for the 4th of July! Each set is $7.99. If you are getting them in bulk they change price when you get more. Over 25 they are $6.99, over 50 they are $5.99, and over 100 they are $4.99. It's a great thing to get for a sports team. They do have a lot of other color options. They even have Movember Mustache Wrist Sweatbands. 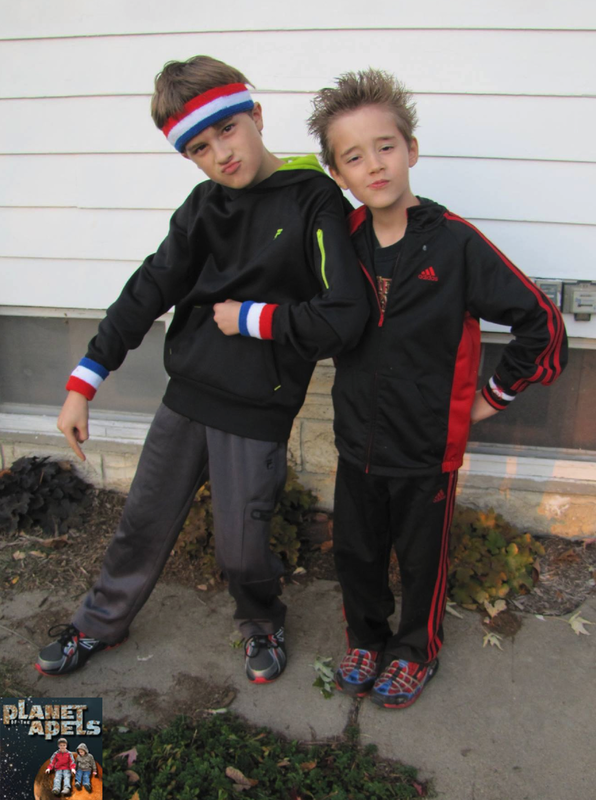 It just so happened that our kids had an 80s day this week at school. 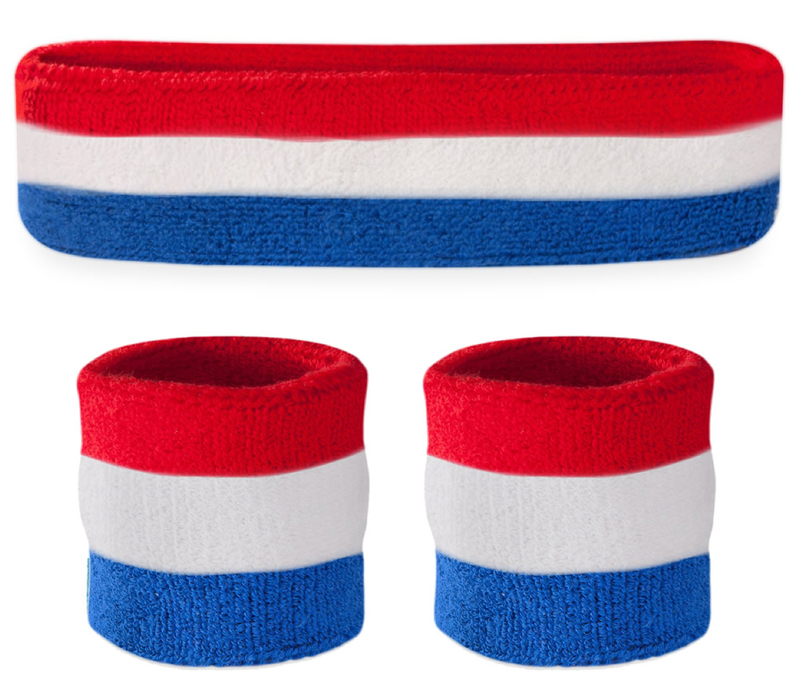 Mica got his Red, White, and Blue Patriotic Sweatband Set yesterday. He wore them all day. He got compliments from staff members saying, "Now that's 80s!" 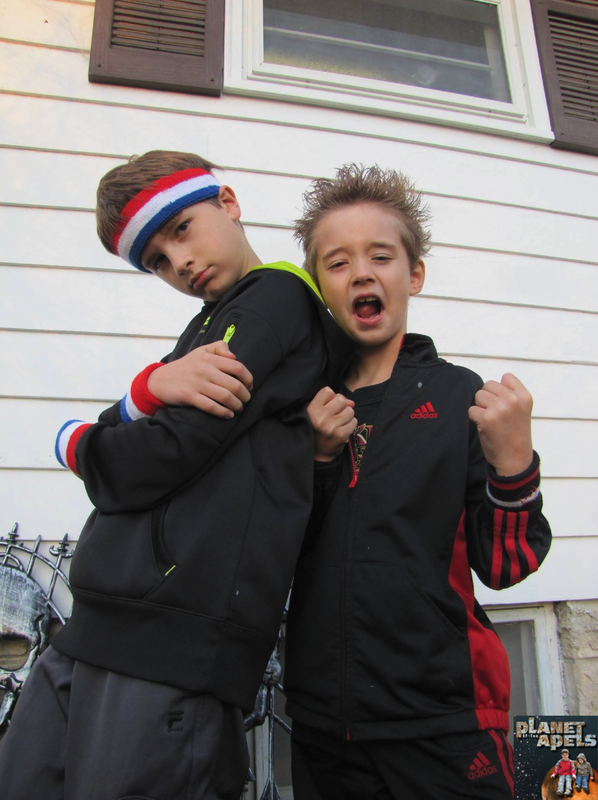 I think the boys look like the Beastie Boys. Mica loves his new sweat band, and wrist bands. When I went to wake him up this morning I found out he slept in them. I have a feeling I'll be back at their shop to buy more for other people in our family. I'm all about super food. I know know many people do not get enough greens. 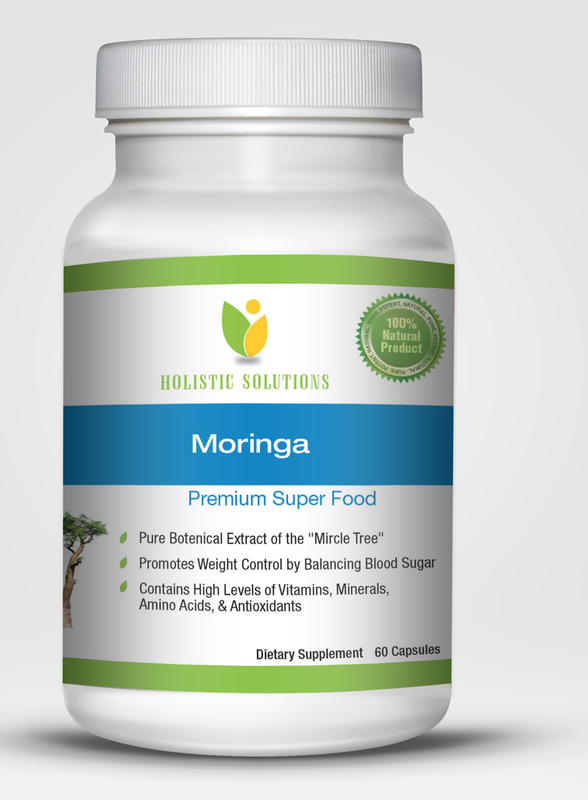 I got: Moringa Premium Super Food to review. This is plant based. It's used for treating various health-related conditions have just recently been acknowledged by the scientific medical world. Practically every part of the tree, from leaves to pods to roots, can be used to boost health. It is well known for its antibacterial, anti-fungal and antioxidant properties and proven valuable against elevated cholesterol levels and hypertension. Every part of the human body can be functionally improved from the use of chemical substances present within the plant. In short, this tree is nutritional dynamite with hundreds of medical uses. 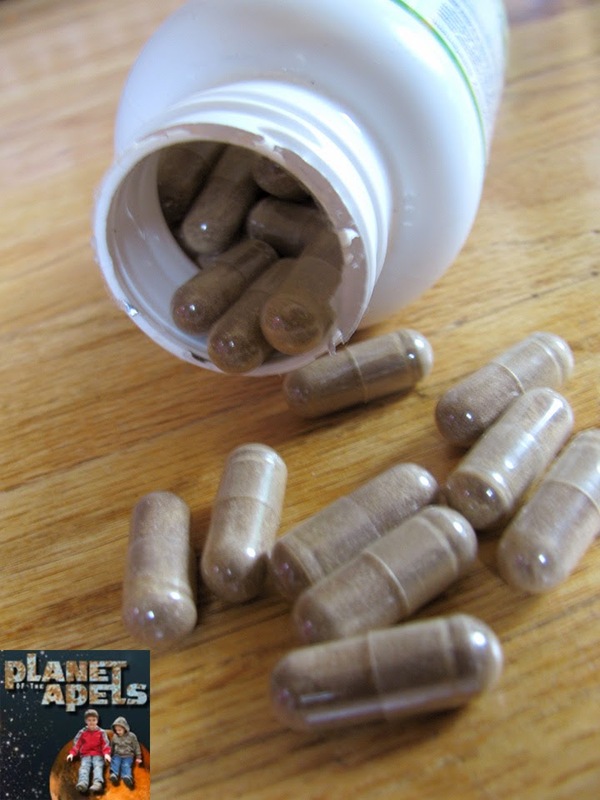 *It's more of a daily vitamin than only containing the green from plants. If you take a daily vitamin, you may want to stop using it when taking this. It's a little hard to tell if taking this is helping with anything. I think I'm going to stick to taking green powder. I like putting green powder in my smoothies. Concussions is a hot topic in the media right now. Yesterday I was talking with a student about football. He was a football player in high school. He ended up having a concussion. He couldn't bend over to put his shoes on after his concussion. Even walking was a struggle. The doctor he was seeing didn't know why he was having problems with these simple tasks. He ended up seeing a chiropractor. Over time he did get better. He tried to play football again because he loved the sport so much. He would often times get dizzy when he played. 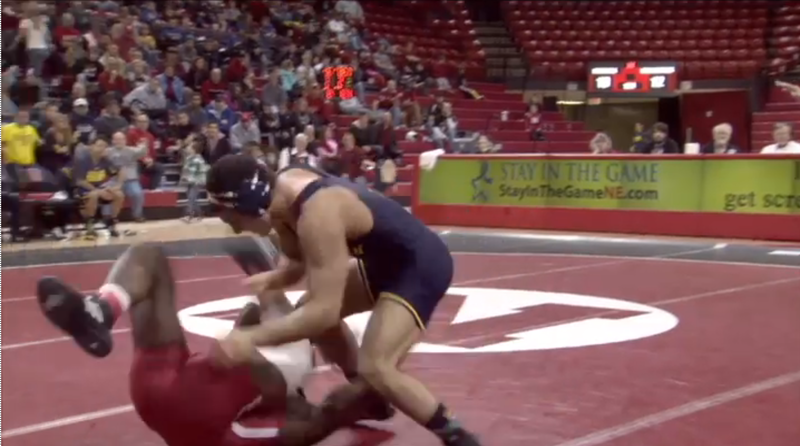 His coach, his mom, and he all decided it was in his best interest to quit the game. The timing of my student's story, and me being asked to watch a preview of Concussions: Heading for Change couldn't be more perfect. Concussions do not just happen with football. Brain injury can happen with any sport really. 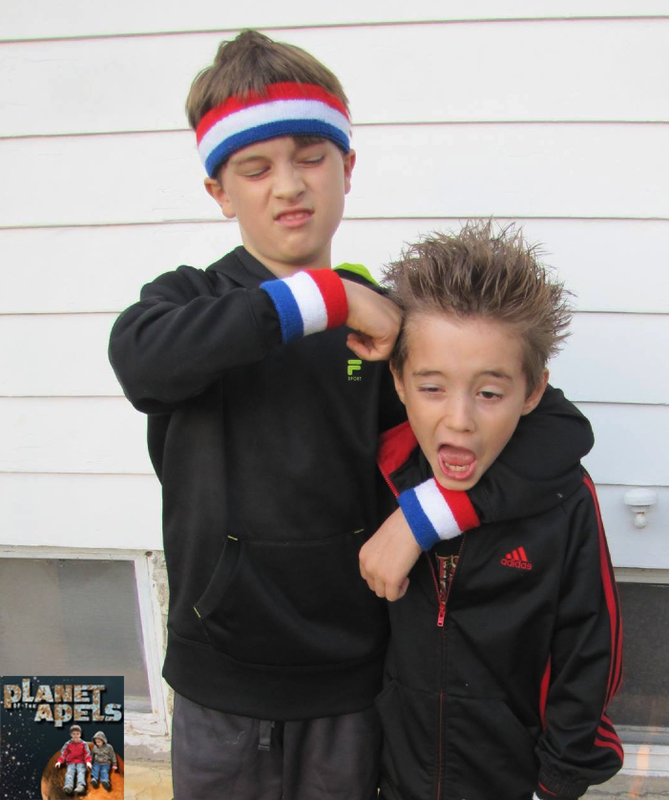 They can even happen with car accidents, or if someone is attacked. It's just that people that play sports are more at risk. 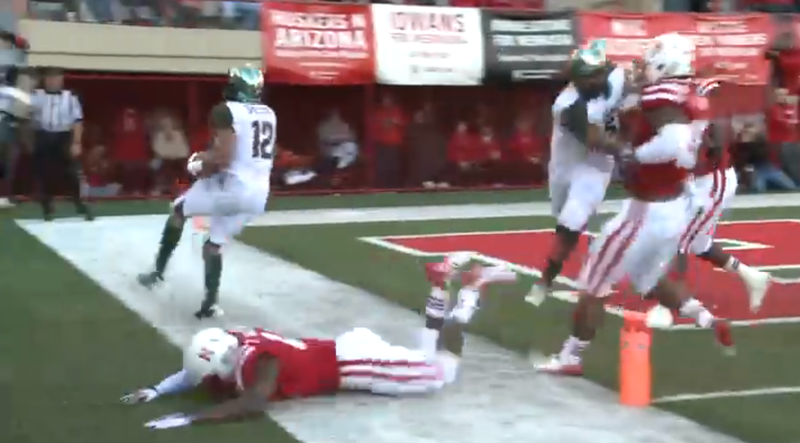 In Nebraska doctors are working together to research concussions. This will help the US as a whole. They want to learn more about the brain, and how to treat the brain after someone has a concussion. We have some of the best doctors right here in Nebraska. 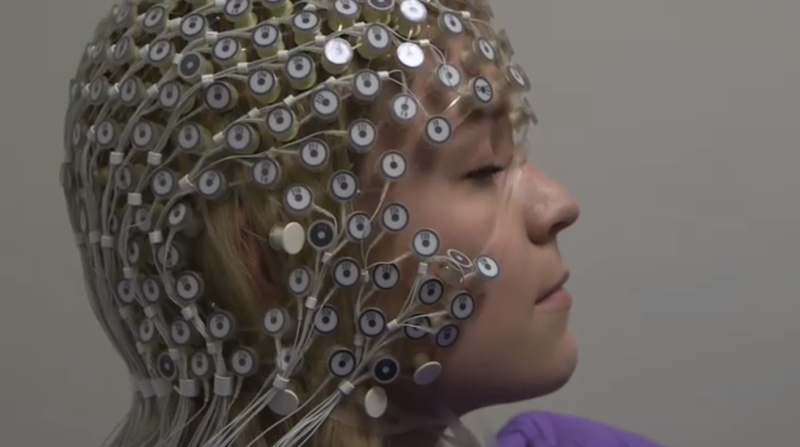 Nebraska is at the center of advanced brain research. The University of Nebraska’s Athletic Department recently partnered with an on-campus research lab called the Center for Brain, Biology and Behavior (CB3) to help develop what could be a game-changing diagnosis process to help determine if an athlete has suffered a concussion on the field. This collaboration between the two departments is unique and hopes to benefit all levels of play. Like all states, Nebraska recently passed into law a Concussion Awareness Act, which aims to keep its youth athletes safe after receiving a head injury during play. Through education, coaches and parents are learning the symptoms of these head injuries and what they can do to help their athletes recover. Bringing awareness to this subject will help people that play sports. I know just in my son's jiu jitsu classes they help train the kids how to fall in a safe way. 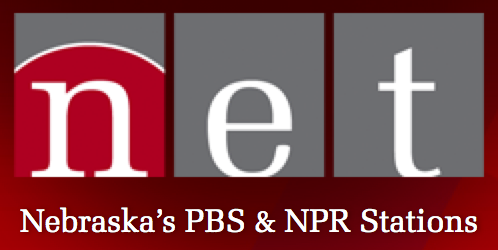 NET's upcoming program highlights some of the initiatives happening in Nebraska at the collegiate and state to help prevent or minimize sports head injuries. Like most things about the brain, science is still learning what damage concussions can cause to an athlete. What is being done to protect our athletes in sports like football, wrestling, and even soccer? In an effort to clarify the continuing research and the new rules enacted to help player safety, NET Sports, Nebraska’s Home for Sports, is proud to present Concussions: Heading for a Change. I'm receiving one or more of the products mentioned above for free from NET. Regardless, I only recommend products or services I use personally and believe will be good for my readers.